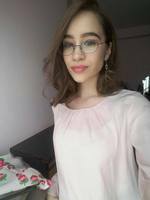 Born and raised in Banja Luka, Ana is an excellent and knowledge seeking student. Ana graduated form high school in 2016 with an above average marks after which she started going to faculty. During the last semester of faculty Ana volunteered on a safe line for children. In her spare time, Ana likes to read and spend her time going to numerous workshops. In her near future Ana plans to finish faculty and proceed with her education and eventually get a Ph.D in psychology.